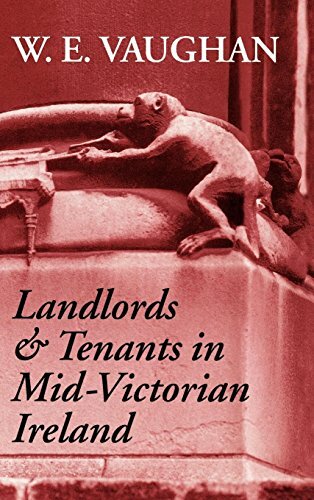 This is a comprehensive and wide-ranging analysis of relations between landlords and tenants in Ireland in the middle decades of the nineteenth century. W.E. Vaughan explores evictions, rents, tenants' rights, estate management, and tenants' resistance to landlords. In place of the conventional image of predatory and all-powerful landlords, and oppressed, impoverished tenants, the author presents a scholarly and nuanced picture of mutual accommodation, thus revising the traditional view of land relations in nineteenth-century Ireland.